The Samsung C27JG52 and C32JG52 are attractive new models that offer the essential features for pure gaming performance. These two new models drop fancy extras such as Quantum Dot and HDR to deliver a fantastic package at presumably lower price than the usual. The Samsung C27JG52 and C32JG52 are attractive options since they could be the next budget or midrange recommendations for 1440p screens. The Samsung C27JG52 and C32JG52 express simpler designs which include a matte black chassis and titanium gray accents on the front. The monitors look like subdued versions of the previous H-series of monitors from the Korean giant, although they still look sophisticated and aesthetically pleasing. The monitors’ face has a dual stage bezel-free design which is actually composed of a minimal panel border and a thin outer layer. We’ve ascertained that the Samsung C27JG52 and C32JG52 could be budget offerings because of the missing aspects which you can find on the C32HG70. For starters, the chassis will come attached to a tilt-only stand which limits the ergonomic capabilities of the display. Although thankfully, you can remove this part and utilize a VESA mount or adapter with a 75 x 75 pattern. Connectivity on the Samsung C27JG52 and C32JG52 are simplified as well, omitting nifty extras such as USB ports and legacy connectors. Users will only find a DisplayPort 1.2 and dual HDMI 1.4 slots for video inputs, plus a 3.5mm jack for audio connections. Users also can expect that there will be no built-in speakers on the product, although that is rarely missed in a gaming monitor. Another notable change in the Samsung C27JG52 and C32JG52 is the omission of the OSD joystick in favor of a simplified button layout. Frankly, we prefer the former since it is easier to use for most people, although most will get by with tactile buttons. The Samsung C27JG52 and C32JG52 will include a 27-inch and 32-inc VA panel respectively that offers a 2560 x 1440 resolution, a 144H refresh rate, and 1ms response time. The screen is supported by a 300cd/m2 backlight and specified to have a 3000:1 native contrast ratio. The lower backlight threshold is also an indicator that these two new models are not HDR capable, nor do they come with software-based emulations. Both displays will have light matte AG coatings and a highly likely true 8-bit color output. Since VA tech is utilized, we can expect full sRGB coverage with possible extensions, although there will be no wide gamuts such as DCI-P3. After all, the Samsung C27JG52 and C32JG52 will not support HDR outputs. 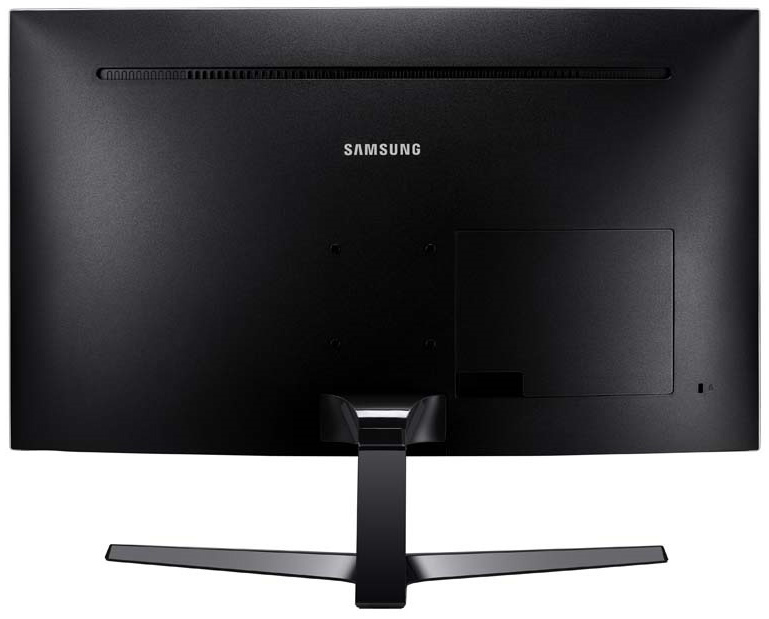 The Samsung C27JG52 and C32JG52 are gaming monitors through and through, but they are missing notable features we can find on the previous offerings. For one, these two monitors do have a 144Hz refresh rate, but they do not support FreeSync or Adaptive Sync. There is also no mention of the 1ms MPRT spec we normally find on VA monitors nowadays. Functional overdrive features like the latter are crucial to VA panels since they prone to blurs, ghosting, or image retention the most. We’ve seen the tech’s improvement over the past generations, and we do hope that these two are slightly faster in this regard. 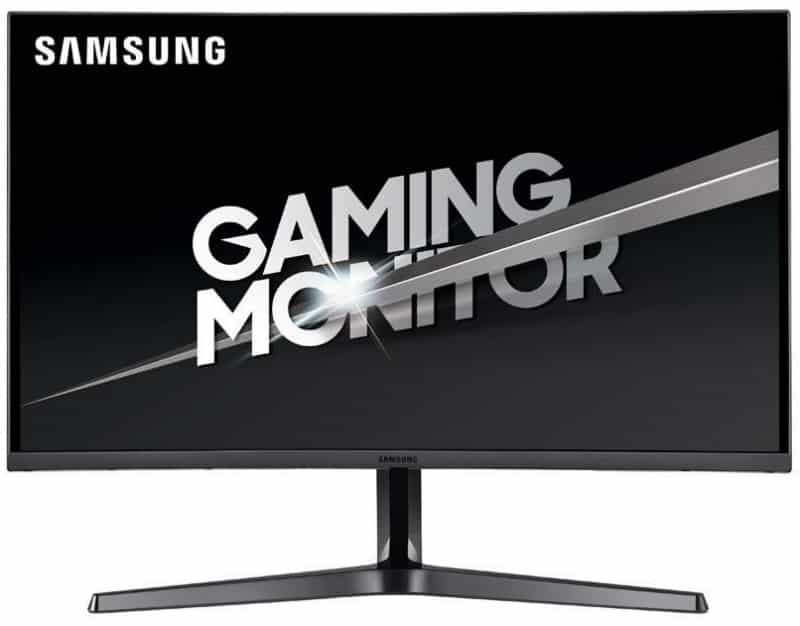 Another issue we’d like the Samsung C27JG52 and C32JG52 to address is the brand’s use of a PWM backlight on the larger curved monitor variants they produce. These two new models along with two other flavors, namely the C27JG50 and the C32JG50 correct this flaw and ship with true flicker-free arrays. We also would like to mention that the C27JG50 and the C32JG50 are not totally new SKUs or variants. Instead, they are similar products which are pointed towards the professional and business market. This fact may change as we draw closer to actual release dates, so we hope to see more features to have more options. The Samsung C27JG52 and C32JG52 are shaping up to be the next best 144Hz QHD budget monitors we might see on the market. We think the new models will sell with lower SRPs than the C27GH70 and the C32HG70 which arrived with more valuable features such as HDR and Quantum Dot. At least, these brand-new products offer 144Hz refresh rates since the typical 60Hz or 75Hz is now passe for the industry and the market. We are very excited to see how the Korean tech giant will price the Samsung C27JG52 and C32JG52. However, there is still no word regarding retailer price or even a release date. We will share the latest details once they become available, but in the meantime, you can check the two products out at Samsung’s website. I am huge fan of Yours, keep up the good work! I have this question regarding Samsung C27JG50- does it start to strobe the backlight on lower brightness​? Hey, Evald! We haven’t tested the Samsung C27JG50 yet, but its specs mention that it is flicker-free. We think Samsung already learned from the fiasco caused by their C32HG70 and its flickering issues. Newer models are supposedly free of this hidden flaw due to that. Cheers!